A check is a written order to pay someone a specific amount of money on a certain date. Here are the basic steps of how to properly write out a personal check with dollars and cents. Today’s date. Include the month, day, and year. 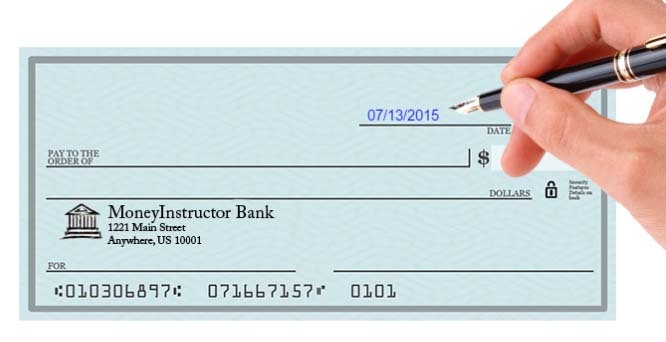 The name of the recipient: the individual or company that you are writing the check to. The amount of the check in long-form in words, the word ‘and’, and then cents, which is written as a fraction as cents/100. Start at the left edge, and draw a line through the remaining space. Optional field to describe the reason for the check, or an account number. Your signature. Use the same signature on all your bank documents. More Checking Account and Check Writing Lessons. Financial audits are intended to provide some assurance to the public that a company’s financial statements are presented fairly and accurately, in accordance with the established or stated criteria. The public may include the shareholders of the company, debtors such as bondholders, banks or other financial institutions and some government entities. In general, a financial audit will seek to confirm that the company used “generally accepted accounting principles” (GAAP) in the scope of the audit (all material information has been revealed), how the finances of the company have been managed and what are the kind and strength of the company’s internal financial control structures for reporting and protecting assets. A proper audit will seek to confirm that all the financial data of the company has been reliably obtained, maintained and disclosed in the reports, and that the resources of the firm are properly protected against losses arising from fraud, theft, error or mismanagement. 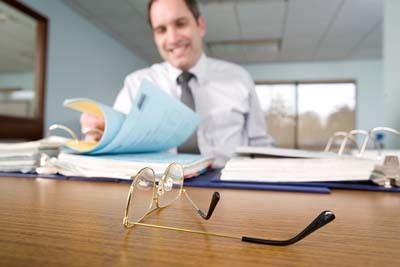 There are three authoritative bodies for establishing accounting principles and financial reporting standards: the Federal Accounting Standards Advisory Board for the federal government, the Governmental Accounting Standards Board for state and local governments, and the Financial Accounting Standards Board (FASB) for nongovernmental entities. GAAP has been developed by the American Institute of Certified Public Accountants’ (AICPA) to assure some uniformity in financial procedures; the audit process has a special section that applies to audit field work and reporting. Bank reconciliations are checked and confirmed, the reported balances in each account are confirmed with the banks, interest rates are confirmed, gains and losses from marketable securities are verified, and petty cash is inventoried. The documents regarding equity are checked and any variation in equity or retained earnings is properly explained. The outstanding debt with large debtors is confirmed to be in accordance with the books of the company and a review of the aged receivables account and bad debt receivable item is conducted to make sure it is realistic. The outstanding credit with large creditors is confirmed to be in accordance with the books of the company, and notes and terms issued are reviewed. Outstanding debt is reviewed for adherence to terms, payment track records. Operating costs are analyzed and it is made sure they are properly reflected. An examination of the schedule of capital additions and improvements is conducted to make sure they are properly reflected. Tax returns are reviewed and verified. The treatment of any transactions between subsidiaries, affiliates, etc. are examined for proper reporting. Any consolidations are reviewed for accuracy and relevancy. Payroll records are examined, including samplings of time sheets, payroll reports, payroll checks issued, etc. The presentation of the profit and loss statement, balance sheet and cash flow statement are reviewed for compliance with GAAP and the financial results are deemed to be properly presented. The financial audit is considered one of, if not THE most important tool in judging a company’s worth, and therefore is highly valued to all parties concerned with investing in, lending to or even just transacting business with the company. The public relies on the integrity of audit, and needs to consider that one of the main problems in the audit process is the conflict between the objectivity an auditor should exhibit and the business relationship between the audit firm and the company being audited. On one hand, the audit firm should be ruthless in thoroughly checking the books, but on the other hand, it wants to keep its customer happy since it is a chief source of revenue. Entering the High School years, ninth and tenth grade students now have the opportunity to pick and choose classes they find interesting and want to learn more about. Many students decide to take Economics (see Basic Economics Lessons) because the business world interest them and this course is the first step in deciding if working with finances is the step toward a future career. Students find that their economics course, although has a lot to do with money and numbers, also is dependent upon a certain way of thinking. Honesty and morals is part of this course, as well as some psychology and future financial planning. Investments and where to invest their own money, as well as client’s money, becomes a risk and some students find after the first class comes to an end, economics is not for them. The course usually is broken up into different sections from the basics, which ninth and tenth grade students attend, to the second level for the upper classmen to take. Also, students find the teacher not to be a math teacher but a Social Studies teacher! Why would a humanities teacher be teaching an economics course? As students attend these courses, they begin to understand why. The students will learn about the costs and benefits of money in regard to the standard of living, income, markets, and trade. Teachers will discuss investments (see investments lessons): what they are, which ones are traditional, which ones are risky, market values of property, and the role that government partakes in our economic lives. Of course, with ninth and tenth graders working their first jobs, the most important concept to them all is taxes and how come half of their paycheck goes to FICA! After the course is complete, then students understand why a math teacher usually does not teach this course. Many humanities teachers majored in economics or had once worked in the field from a stockbroker, real estate broker, lawyer, and beyond. Teachers show students how to analyze the market, learn business ethics, how competition and consumer choices determine the market value, as well as the laws of supply and demand. Economic courses are considered an elective and not in place of any math courses. Typically, ninth and tenth grade students are taking this course because they chose to. In addition, many students find a new respect for their Social Studies teachers when they are teaching them a subject they find interest in. Since electives last for half a year, after economics is complete; students can take business management, advertisement, minorities, or psychology the second half of the school year to add to their knowledge of beginning to understand the financial world. Many of the economic concepts are only introduced in the first course and if students find interest in finances, there are many other business related courses and clubs they can join, now that they are in high school from DECA to being the treasurer of the student council. Seventh and eighth grade students now have the skills of addition, subtraction, multiplication, and division and know how to compute all these operations with money and decimals. The next part of learning about money and financing is geared more toward the business aspect. During these two grades, students will begin to learn about change from a purchase, discounts, commission, price markup, sales tax, shipping and handling, and interest rates. Some of these topics will be fully taught and others will be introduced (see Consumer Math). Up to this point, the learned skills of money have been discussed so students can be able to use in real life situations. Teachers in the prior grades have taught and tested all the students skills regarding computing money and the students will learn now how this topic will relate to them in their own life. When students begin in the middle school levels, the classes can be larger and the teachers do not follow every student to see if they handed their work in on time. Teachers have close to 150 students a day where at the elementary level, they could have 20 – 50 students. The new teenage students need to be responsible for themselves concerning their school work and if a concept is not understood, the teacher expects them to ask questions or get extra help. With all the physically changes occurring, many students will not feel comfortable asking a teacher for help and this could be their downfall of not learning the next concepts regarding finances. Students know how to purchase an item, give the correct amount of money to the cashier, and receive the correct amount of change. What if the roles were reversed and the student is working as a cashier, could they make change and add the correct sales tax onto the purchaser’s item? In seventh and eighth grade, teachers will spend time with real life concepts concerning finances. During these grades, Algebra is being taught as well and where the majority of time is being spent. The teacher will explain financial terms with real life problems by role playing using the students in the classroom. For example, let’s say Toby is working at a clothing store in the mall and Jon walked in. Toby greets Jon and asks him if he needs any help finding a certain item. Jon says yes and Toby spends a half hour helping Jon buy a pair of jeans and two shirts. The total bill came to $140.00 and since Toby was the sales person helping Jon, Toby will make a 10% commission from this sale. After the teacher has the student’s role play this word problem, then she or he has the entire class at their individual seats try and solve the problem. The class gets five minutes to work it out and then the teacher will go through the problem as a class. Some teachers use visual aides to help students understand the concept. The formula for the problem should be written clearly on the board and all the students should have it written down in their notebooks. Next, the numbers from the word problem should be plugged into the formula, and then solved. When the concept of commission, sales tax, discounts are being taught to be solved; the easiest way for students to learn these concepts are by practicing with the teacher. All formulas should be taught, written in the students math notebook, with an explanation of when and how to use them. Fifth and sixth grade students now have the skills of addition, subtraction, multiplication, and division. They can recognize monetary values and can use their learned skills in real life situations. Teachers in the prior grades have introduced multiplication and division of money and now the students will learn the decimal rules pertaining to this concept. According to state standards, by the end of fifth and sixth grade, students should have the skills of computation to add, subtract, multiply, or divide fractions, decimals, integers, percentages, and money values (see Money Math). Any number value is expected to be solved and the use of mental strategies like problem solving, as well as a pencil, paper, and calculator, students should be familiar with. Comparisons are also taught so when students are in the real world, they can mentally calculate the price of an item and make a comparison. As students become more knowledgeable in money, they can begin to look for part time jobs. Teachers have found students who work as a babysitter or newspaper person have a stronger concept of money, its value, what it represents, and what it can get them. The best lesson to teach about the value of the dollar is the reality of life. One way a teacher can help their students understand the importance of the dollar is by developing a two month long project, where they must keep an average amount of money in a fake bank account (see Banking Lessons). Some expenses which can be mandatory are food, shelter, and clothing. Then the students will be given a list of necessities and luxuries with weekly pricing for each service and be told to choose between two and ten more items. The items on the list are flexible and always can be changed. Each week the teacher will ask the students for a copy of their expenses for the week. The students are required to keep track of every expense, similar to a check book ledger, for any item money is spent on (see Checking Lessons). The teacher will give ten charts for all the project weeks. On the first chart, the total amount of money being used will be in the first row plus the prices for food, shelter, and clothing. Nothing will be calculated, this is the students job. Since the cost will be repeated weekly, each chart will have these three items already. The chart will have columns for: the item, day it was purchased, cost, and balance remaining for the total account. The students will have their choice of items but must not lose all their money throughout the ten week project. Depending on the teacher, some offer items which will increase income which incorporate how to save on energy costs. This long term project will teach life skills, financial skills, problem solving, and incorporate all the computation concepts. By having students choose their expenses and visually see the cost of every item, the teacher hopes to help students realize the value of money. The internet, cell phones, video games, and all the luxuries many students would like to purchase may not be possible during their 10 week long project. By fourth grade, students should be able to recognize all the coin amounts and write their correct values, as well as the dollar amounts. Forming different values by combining the dollars and coins should also be achieved, as well as addition and subtraction of monetary values. Learning to line up the decimal points and carrying them throughout a problem can be a challenging concept but must be learned before approaching multiplication and division of money, which usually begins in fifth grade. Considered consumer math (see Consumer Math Lessons), converting money values will be taught, as well as learning to give the correct change and receive the correct change after making a purchase (see counting money lessons). When students enter fourth grade, the teacher will review the basic monetary values starting with the coins and dollars. This may take the teacher almost two weeks between review, exercises, and testing. Once the teacher feels the class is satisfactory in their knowledge of money values, symbols, and recognition, then they will begin the review of addition of different money values (see Money Math). The teacher will start with the coin values; for example $.25 + $.10 = $.35. Next will still use the coin values but will mix the coins together to make new values like $.93 + $.57 = $1.50. The reviewing of addition with money will last for one week; starting with the basic coin values and leading up through the dollar amounts. It may seem very basic but after the summer vacation, children need to review concepts that were just taught in the prior grade level. Continuing with the review, the teacher will follow the same process as addition for the subtraction of money values. This review also will last a week starting with the basic coin values to the dollar amounts. Due to the monotony of these concepts, many teachers will create a game for their students. Some games can be played in a group of three to five students, partnered, individualized, or full class participation. Ideas for interactive learning games can range from a puzzle worksheet to a wheel of fortune type of game where all the phrases are money terms and the values on the wheel are math problems which must be solved before choosing a letter. The more creative a concept, the easier it will be for students to remember addition and subtraction of money. What will be new in grade four is converting coin and dollar values. With addition and subtraction already learned, this standard should be fairly easy for students to learn. The reality is in kindergarten, the teacher had the students interactively converting the coins to different values when they played the shopping game. In fourth grade, the difference is the students will have to mentally solve the problems as if they were in the real world. This begins the teachings of finances and help students understand the value of money. For example, the teacher may write certain money values on the front board and ask the students to copy them into their notebooks. Then they will ask them to write, in words, the different ways the one value can be achieved. The value $4.28 is written on the board. The teacher gives the students five minutes, individually at their seats to answer this problem. The teacher asks the class for participation and will write all the answers on the board to discuss each answer with the class. An example of one of the answers could be: three one dollar bills, five quarters, and three pennies. If the teacher finds this value too hard to begin with, they can lessen it to just coin values. Each class works at a different pace and it is up to the teacher’s discretion. By requiring students to write in words the monetary values, this incorporates the new thinking of combining the subjects to allow more understanding of why English and Math must be learned in school or crossing the curriculums. The basics of multiplication and division of money are introduced and reviewed but the main focus in fourth grade is to teach students how money relates to the real world. They begin to understand the value and how the finance world works. Students have learned all the coin and dollar amounts prior to entering second grade (see counting money lessons). They learned how to combine the coins to make higher values, as well as adding the dollar values with the coins. They were slightly aware of the addition process they were displaying, but thought of it more as play money and a game to get the correct value the teacher announced. The basic skills of addition and subtraction also were taught and now, at the second grade level, adding and subtracting of money will be taught (see Money Math). Before monetary value is even taught, the teacher must teach about the decimal point and what rules it represents and followed during arithmetic. The concept can be abstract to some second grade students. Many times mentioning the money part does not come till the end of the lesson, as if it was a surprise. The first part, which is repeated numerous times, is matching up the decimal points. First, the cent values are used, only two numbers for the first week or two. Then the dollar amounts are used, reminding the students that regardless of how many numbers there are, the decimal places must always line up. This is not an easy concept and money isn’t mentioned at first till a few weeks into the lesson. Each student has a set of fake money (see fake money) to help them understand the concept. In the real world, adults use real money where we can count our values so why shouldn’t students have the same opportunity when learning? The students do not receive the fake money till the concept of a decimal point is understood. Teachers will give a ditto with problems ranging from the basic concept of one place holder with a decimal, to the more challenging of four place holders with a decimal after two numbers. The first few problems, the decimal will be lined up properly; the last few; the student will have to line up the decimal themselves by rewriting the problem. The reasons for this are decimals are not just used with money values but with percentages and weight. To be able to teach a concept with more than one meaning helps the students and teachers. Once this is learned, then the students are told that money is also written with decimal points. For example, a quarter is valued at twenty-five cents; then the teacher shows the numerical value written out is $.25. The same goes for the five dollar bill, first it is written in words and then the numerical version of $5.00. There is practice writing the values from the numerical value to the written word and vice versa. If a student doesn’t understand this first concept before moving forward, they could become very confused. What money is used for and the basic need and value of money is not taught till fourth grade. Due to state standards in math requirements, the concept of adding decimals and recognizing money is what must be taught and focused on. Beginning in third grade, the comprehensive problem solving questions will begin. This requires understanding both reading and math skills, and problem solving skills. Most of third grade is review of the money concept of addition and subtraction and teaching multiplication and division. Through the problem solving, many times the questions require these processes to be used. Due to the decimal point not having to line up, many students begin to feel lost and shy away from asking for help. Be aware at this level that if a student or your child is displaying a frustration for math, this very well could be the culprit. Between second and third grade, the four different operations are taught about decimal place and money. It can become confusing for a student who is still trying to retain the first part of the concept from a year ago! Patience and understanding with these students will be appreciated and it is not about not learning the concept but just learning at a different pace. The reality is students today are learning and retaining a lot more information than ever before and due to the state standards; it puts pressures on both the student and teacher. The reason being is it all comes down to money. The students at the first grade level have learned about the basics of money with the recognition and value skills of the penny through the quarter. They are aware of the differences of color, shape, feel, and value. First grade teachers continue to work with their students to help improve their addition and subtraction skills (see counting money with coins) of the basic numbers of single placement to four place holders. First grade students will also learn the higher amounts of money and how to use the combination of both monetary values. The teacher will begin with the review of the coins and then introduce the paper values of the dollar. The one dollar, five dollar, ten dollar, and twenty dollar bill will be shown. Then the teacher will ask the students what are the differences and similarities. This concept is first taught as a visual lesson, then monetary lesson, and lastly, how to combine the dollars and coin amounts. One of the easiest ways to teach about the different dollar amounts is to use paper fake money (see play money). First, the teacher will show the real version of all the dollars and each student will have their own set of fake money to coincide with this display. A hand-out or workbook page will be used for the students to write down the correct value of each pictured bill. For example, the teacher holds up a five dollar bill; then she asks the class which bill she is holding. The entire class answers together, the five dollar bill, and then they write down the answer next to the picture on their practice sheet. This makes the lesson interactive, as well as helps the auditory and visual learners. Each monetary value will be reviewed in this format of teaching for a few days before moving to the next concept. Once the students are ready, then they will have to identify the differences and similarities of the different bills. For example, a similarity is the color of the bills and the differences are the president’s faces and monetary values. Any of the extra markings and watermarks are not even mentioned since the focus is on the students learning how to use money. Once all this is taught and repeated for a few lessons, now it is time to begin how to combine the two concepts of coins and dollar bills. Most of the adding and subtracting of money will be taught at the second grade level, but the basics can be started in first grade. The students can be partnered with each other and the teacher will call a monetary value out loud and the partners need to take their fake money to replicate the announced value. This focuses on cooperative learning, problem solving skills, auditory skills, and interactive learning. Every few times, a teacher can write the value on the board to help the visual learners as well. The teacher gives each problem a total of three minutes to replicate the numerical value. Then she shows the correct answer to the students and the students have to keep track of how many they get right and wrong. Also, the teacher can have a hand out for the students so every number value is written on the sheet. There are many options of how to teach the basic concept of coin and dollar combination amounts and these are just a few of them. Usually adding or subtracting is not introduced till second grade because students are still learning just how to use regular numbers to do arithmetic. By second grade, they should be ready for the more abstract concept of decimal points and following the decimal point throughout the problem. The recognition of money for young children is a concept which is not difficult to learn. Understanding the monetary value and what each individual coin or paper represents is the challenge. Each grade level teaches different aspects of what is money to how to spend money. Starting with the lowest grade, pre-K through Kindergarten, this article will explore the many techniques of teaching children how to remember what money equals. Depending on which part of the world you reside, each country teaches the money system which relates to their life. Obviously if the dollar is used then the Euro will not be taught. Between Pre-K and Kindergarten, students will learn to first identify the names of the coins (see money recognition). Many begin with the penny since most children are already familiar with this coin. The distinct copper color makes this the easiest for children to identify due to its difference of color. Also, many times when a child walks by a wishing fountain and looks in, the parent will ask the child if they would like to throw a penny in to make a wish. The tactile movement with the verbal command reinforces the identity of a penny. The other coins that begin to be identified are the dime, nickel, and quarter. Usually Kindergarten teachers begin with the penny, and then move to the nickel, dime, and then quarter. Besides the difference of shapes from small, larger, smaller, and largest, when the child learns the values of the coins, they already have been taught from the least amount, a one cent penny, to the highest amount, a twenty-five cent quarter. Many times children first learn to recognize the different coins and then begin to remember the value of each. The best way to have a Kindergartner retain the concept of money is by role playing. Putting the students into groups and assigning them each a role helps with the organization of play. Each student will have the same amount of money and each item is labeled so regardless of what they choose, all groups will end up with the same total. The teacher will tell a story while the students act it out together. For example, one child plays the cashier at a store while the rest go food shopping. When they approach the counter, the students get their items rung up and the cashier gives them the total due. This practices adding basic numbers, as well as students cooperatively working to give the correct amount of money to the cashier. The teacher gives the students up to ten minutes to double check their work and places the money on the desk. Once everyone is done, the teacher will then visually and verbally shows and writes on the board the correct combination of money that should amount to their total cost from shopping. Kindergarten teachers continue to do reinforcement exercises throughout the year to keep the students understanding the concept of money. By the end of kindergarten, students should be able to identify all the basic coins and the dollar and five dollar bill. Working with money teaches students how to work together, verbally communicate properly, and how to use their addition and subtraction in the real world. Paying for college is stressful in any situation, but with economic hard times facing many people, it becomes even more important to look for options that can help you to get your college student through school, or help you to pay for your own schooling costs. Keep in mind, the competition for resources to pay for school is fiercer than ever, which means that students need to act quickly and put forth his or her best offer. One of the first thing for students to do is to get started on looking for financial aid options early on, even as early as Junior year in high school. Find out what options are available so you can apply as soon as you qualify. Further, improve your eligibility for this type of financial aid. Determine what your true income is now, for example, if you lost a job. Many schools have taken to increasing their aid allowances to help ensure that more students are able to enroll. Therefore, still apply to colleges you want to go to, even those more expensive options. Save money throughout your college career by making smarter decisions now. For example, high school students should try to take as many AP courses as possible and prepare for the SAT’s and ACT’s. Doing well in these areas will help you to qualify for scholarships and grants that other students cannot. Schools that allow students to earn college credit in high school can also be beneficial options to consider. Federal student aid is often available, especially low cost loans to student. A good place to start is with the United States Department of Education’s FAFSA application, which can help you to qualify for numerous loan options. It will also provide students with options for grants, including qualifying for the Federal Pell Grant Program, which is a needs based program for low income undergraduate students. Avoid taking a withdrawal from your retirement benefits to pay for college. Although in some cases you will be able to take a withdrawal without paying additional taxes, you are cutting significantly into the earning potential of these accounts. Avoid paying for college on a credit card. This, too, can be incredibly expensive to you. More so, most people will qualify for low cost loans through student aid instead. The interest rate on credit cards can be two or three times as much, if not more, than the rates on credit cards. There are options for paying for college. The key is for you to ensure you make the right decisions moving forward. Making wise decisions regarding your financial situation right now will help you to pave the way for financial success throughout your life. More so, it can help to minimize the amount of money you pay out overall for school.